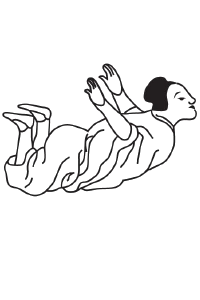 In this level students will be introduced to techniques of massaging, kneading, and stretching from the Xiantianwujimen School, two postures of Yiquan Standing Qigong for gathering and circulating energy, and two sleeping qigong postures for conserving and nourishing energy. In this level students will learn the Nine Selfmassage system and the Twelve Devas Tendonchanging postures in their entirety. The selfmassage exercises focus on nourishing the internal organs and facilitating the circulation of qi in the meridians. The twelve tendon-changing postures are powerful techniques that work on recovering flexibility, strength, and softness in the joints, muscles, and tendons. In this level, students will learn Hua Tu's Five Animal Forms – Tiger for tendon strength, Bear for bone strength, Deer for preserving generative energy, Monkey for enhanced agility and Bird for improved balance. 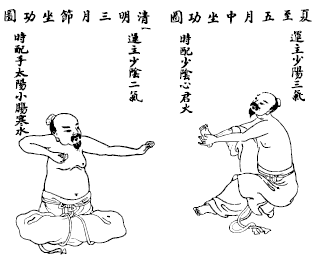 Four more Yiquan Standing Qigong postures will be taught, and students begin receiving instruction in The Immortals' Guide to Self-Massage and Breath Regulation, as well as Red Phoenix Calisthenics. 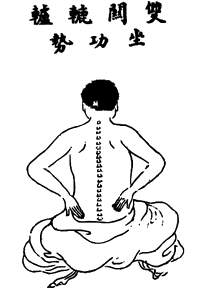 These qigong systems are practices for removing blockages in the meridians, aligning the spinal column for optimal circulation of qi, and strengthening tendons, bones and muscles. The immortals’ Guide to Self-massage and Breath Regulation and the Red Phoenix Calisthenics will be completed in levels 4 and 5. 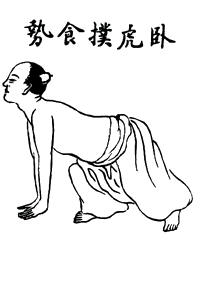 In addition, by the end of level 5 students will have learned the Internal Five Animals System (tiger, dragon, leopard, snake, crane) of physical strengthening as well as the last two postures of Yiquan Standing Qigong. 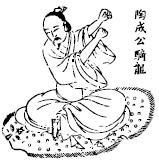 The Twelve Wudang Standing Qigong Forms Individualized instruction in the eight postures of Yiquan Zhangzhuan. 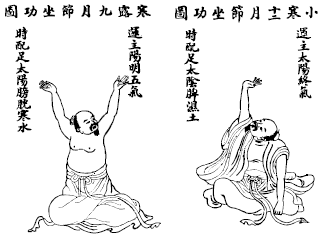 In this level students will learn Chen Xiyi’s Twenty-four Seasonal Qigong. Each form is designed to enhance health and improve immunity to illness prevalent in each season. In addition, the participants will be taught the entire set of the Dragon-Tiger Frolics which combine tendon, bone, and spinal strengthening with conserving and transforming internal energy. This level also introduces the student to walking qigong forms from the school of Bagua Palm internal martial arts. Qigong practice in this level will be integrated with sitting meditation. 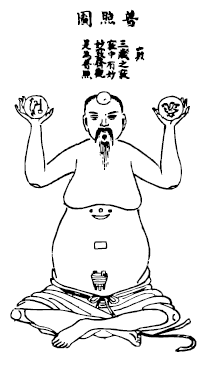 These three levels focus on the Microcosmic Orbit Practice which merges outer and inner qigong. The Microcosmic Orbit is formed by the joining of the Ren (Function) and Du (Governing) meridians when all blockages in the energy channels are cleared. In this stage of training physical posture and mental stillness are integrated to facilitate the natural circulation of energy in the Microcosmic Orbit. In level 7 students will learn how to arouse the inner fire for the transmutation of generative energy (jing) into vital energy (qi).